The order comes nearly three years after officials banned openly carried weapons in the House and Senate public viewing areas, as well as the public hearing rooms at the Capitol’s legislative office buildings. 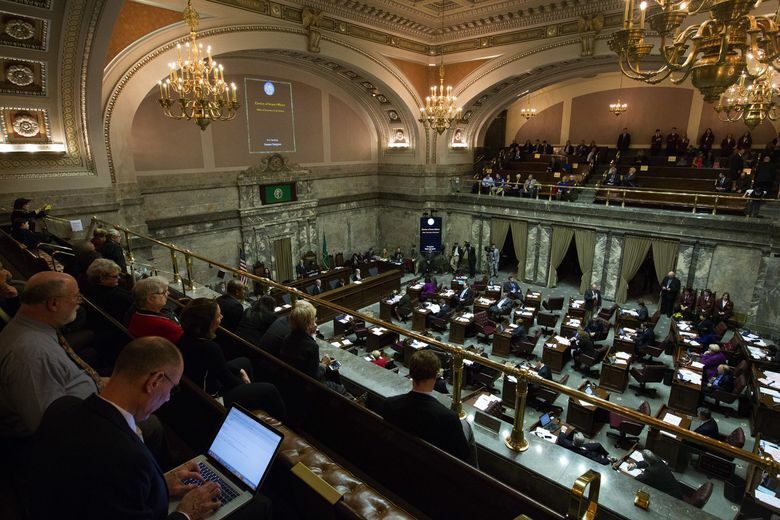 OLYMPIA — All firearms will be banned from the public galleries above the Washington Senate floor once the legislative session begins in January, under an order issued Monday by Lt. Gov. Cyrus Habib. Habib, a Democrat who serves as the presiding officer of the chamber, told The Associated Press and Northwest News Network that his goal is to create a safer environment for all working in the Senate. The move comes nearly three years after officials decided to ban openly carried weapons in the House and Senate public viewing areas, as well as the public hearing rooms at the Capitol’s legislative office buildings. Habib’s order expands that rule to include those carrying concealed weapons with permits. For now, the rule is limited just to the public galleries in the Senate and doesn’t include the committee rooms. The rule also doesn’t cover the House, which would need to take its own action if officials there wanted to follow suit. Habib said that at this point there’s no plan for metal detectors outside of the galleries or storage lockers for people to store their gun, though in a letter sent Monday to the chamber’s sergeant at arms, he asked for logistical and costs factors related to metal detectors by the start of the next session. Visitors to the Capitol now do not need to go through any screening to enter the building. Under the order, which will be enforced starting Jan. 8, overcoats or large bags that could be used to conceal firearms into the galleries will also be prohibited in the public viewing area, and there will be increased vigilance by security prior to and during Senate floor sessions. Habib said that while his main concern is about assault weapons being hidden and brought into the galleries, the order applies to all firearms. According to the National Conference of State Legislatures, 10 states — including Washington — are “open carry” and allow guns in their statehouse buildings, 13 allow guns with a permit, and three permit only legislators to carry guns in the building. Openly carried weapons are still allowed in the main public areas of the Washington Capitol and on the grounds of the Capitol campus.